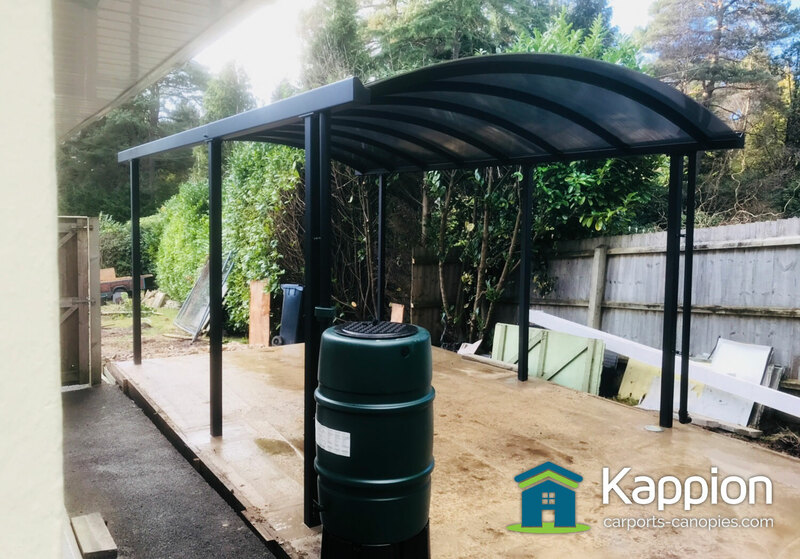 Structurally sound and beautifully curved, our customer’s canopy was installed in just one day. 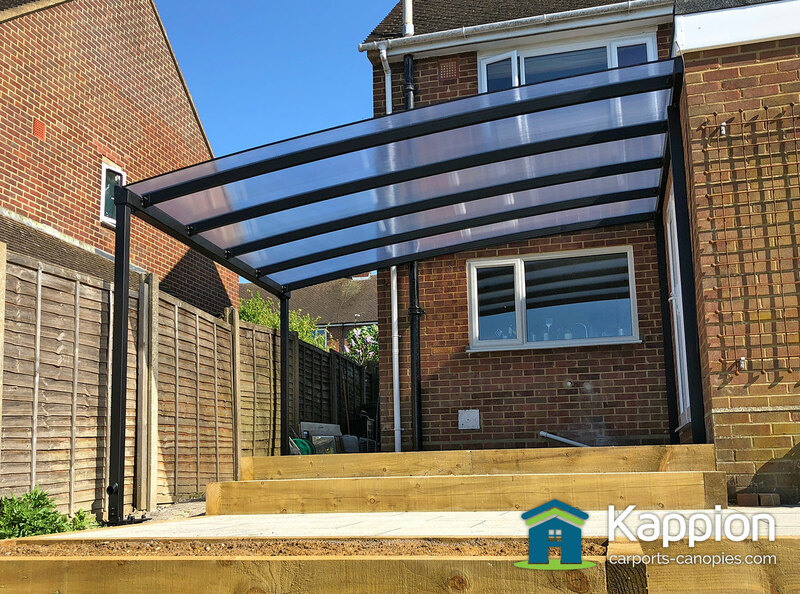 This alfresco patio canopy will allow our customer to enjoy the warm weather in style, not to mention that he has added value to his property. 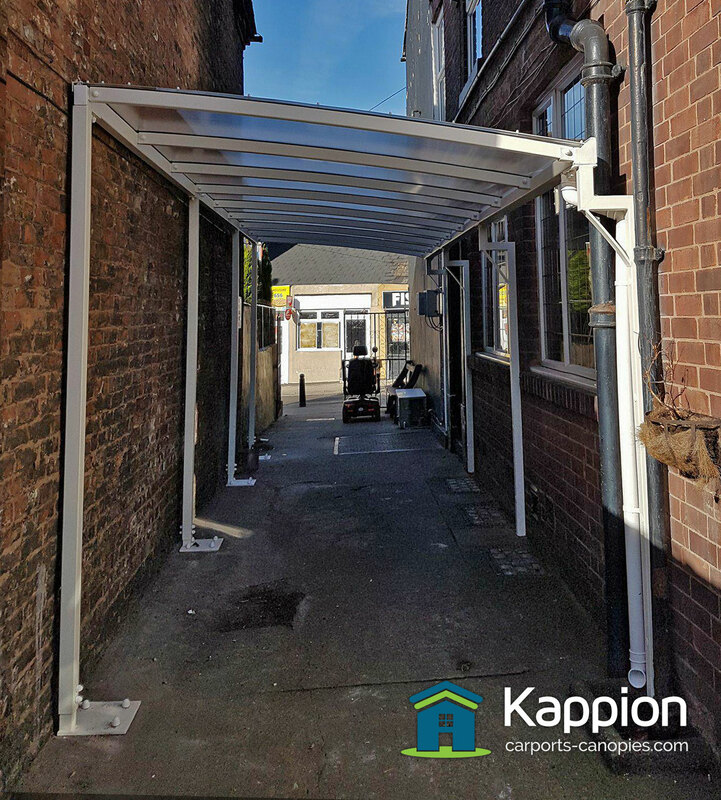 This canopy is an example of how our bespoke design and manufacturing can be utilized to provide a canopy that fits the space required perfectly. 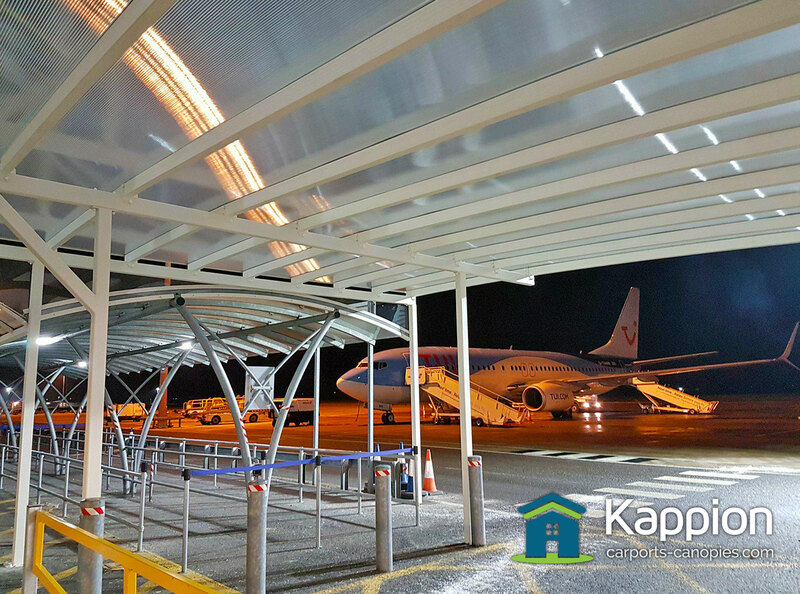 The team designed and installed a bespoke luggage canopy between two existing canopies at International Arrivals. 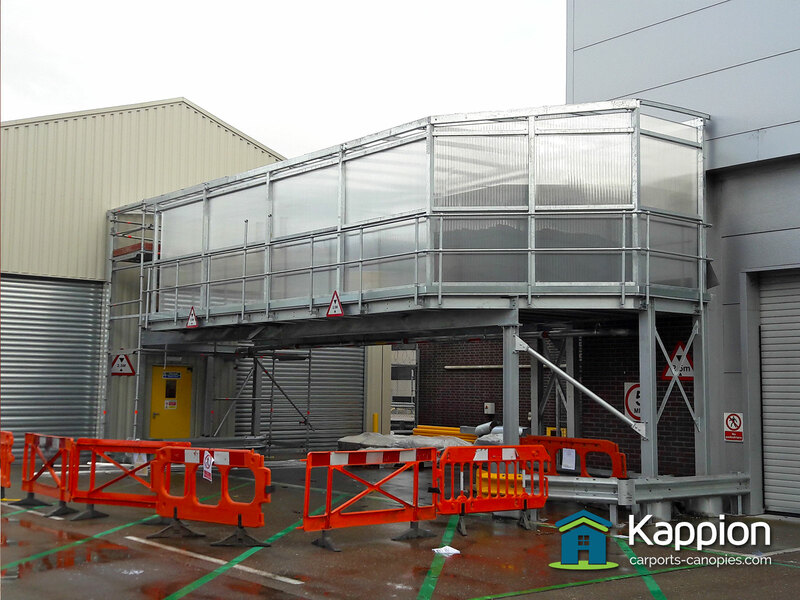 Our team custom designed and manufactured the canopy to bridge the gap and seal the area ensuring that passengers and baggage handlers would now be kept dry. 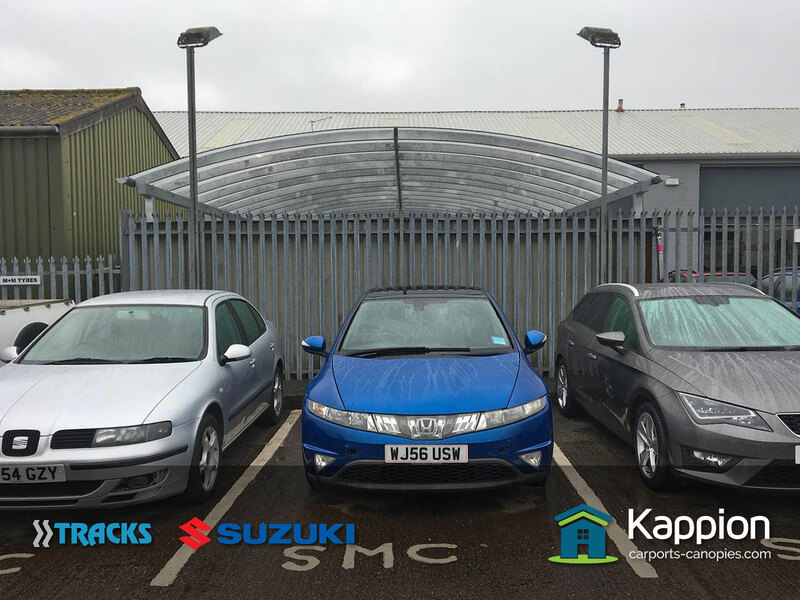 Paul, our customer approached us with a requirement for a carport canopy at the side of his property as he wanted to protect his vehicles from the high winds, bird feces, and falling debris from the trees… he loved the look of our contemporary carports.